German crew who have embarked on a round-the-world journey with their new boat. 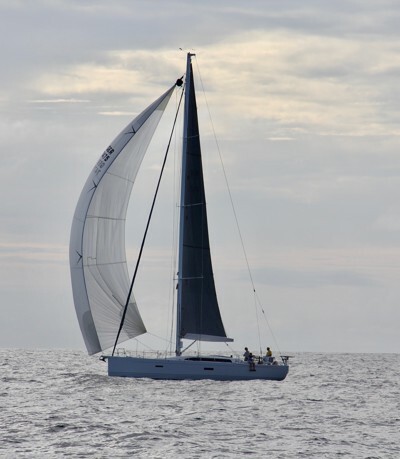 Participated in the RORC Transatlantic Race, completing in 18 days 29 mins and 38 seconds to finish second overall. Entry in the 2018 Rolex Sydney Hobart Yacht Race culminates the journey so far, after which the boat will set sails again heading back to Europe. A family affair for owner Friedrich Boehnert, who also races with his 27-year-old son Arno and his 26-year-old daughter Inga. The father-son duo has been racing the Atlantic twice as a team, as well as competing in many other international regattas. They are joined by five more crew members of their previous Atlantic journeys. The whole crew is excited to be part of this iconic regatta and to set sail on Boxing Day.